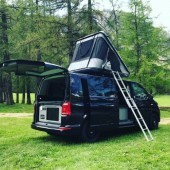 This page displays all the campervans that are available for hire in france . If you would like further information or to speak to the camper's owner about hiring their van please visit their Camperbug page, by clicking below. I am Davion, hire me today! Lulu is a 1976 VW Combi Bay Window Westfalia Campervan. Come away to the French Brittany with Lulu! Fully fitted kitchen, shower, built in table and chair and space to sleep four people. 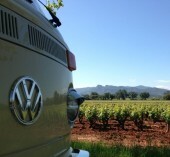 The latest VW California has everything you need to explore the Provence-Alpes..? ?